Sorry it’s been a couple of weeks since my last post! We’re having such an amazing time in Australia that I haven’t had the time or energy. It has been non stop in exploring, visiting family and generally just having an amazing time! My stoma and bag have been doing ok but the last few days I have been struggling. My stoma swells in the heat and when I’m exerting myself, I don’t want to miss a thing so I’ve been snorkelling, swimming, walking and doing everything I can. The problem is that my bag has to fit snugly around my stoma and so when I cut it to fit my swollen stoma, as the swelling decreases it leaves a gap and that gets the acidic output on my skin so I’m left with a Red raw ring of skin. If I cut my bag to fit my normal sized stoma, when it then swells, my bag cuts into the edge of my stoma. It is now ridged, bleeding and very tender. I’m in catch 22! If anyone has any advice it would be greatly appreciated. I have texted my stoma nurse for help and I have arranged a clinic visit for when I’m back in the Uk. We fly home on Tuesday, I can’t believe it’s been almost 6 weeks!! Apart from the issue my stoma and bag have been entire dealable. I’m really glad we came traveling and would recommend anyone with a stoma to not be put off by the idea of travel. This trip would have been impossible during a flare up. My bag meant I have had a trip of a lifetime and been able to enjoy things I never thought I would. UPDATE – I spoke to my stoma nurse who suggested using a donut (a sticky , mouldable ring) around my stoma before I put my bag on. This didn’t solve all the problems, but it definitely helped!! Interesting issue for hot weather stomas. I don’t have a stoma – yet – but will ask around for the Australian stoma nurse perspective for you. As an architect, it sounds like the cut hole needs some sort of flexible seal on it, like a door seal. Or would that get messy with leaks getting under the edge adjacent the stoma? My stoma nurse came back to me suggesting I use a mouldable ring (donut) so you are right!! Will try the ring and see how I go. I’ve just found your reply. Sounds good. Hope it worked. Also read you are getting some trolls. I love the honesty and openness of your blog. I don’t have an ostomy but it is a possibility for the future. Watching you discuss your experiences, with photos, and the decisions around pouch surgery is amazing. If I ever end up in the same situation I know now there is life after surgery. And I won’t turn into kangaroo in the headlights if my medical team suggest it. You are taking the fear out of my future. Thank you. Hi! I just came across your blog and your recent treatments and wanted to reach out with a quick question. Please email me when you can. Thanks! 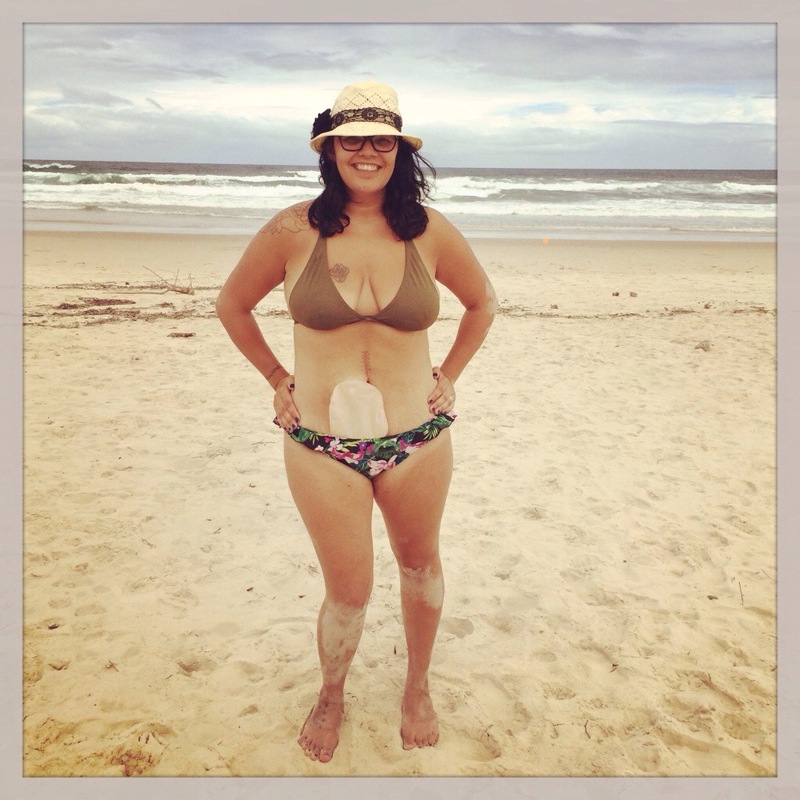 Ileostomy swimwear What would you say to your 16 year old self?